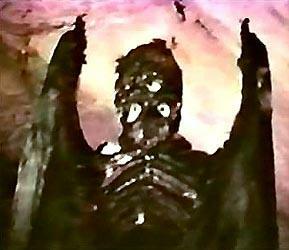 "People of Earth . . . "
I will be posting more soon, I promise. Good stuff--Joseph Milteer, is Jack Ruby Alive updated and more. There are still people who think that Castro did it. Alexander Haig in his memoirs was one of them. Tim Gratz, a journalist who regularly posts at John Simkins JFK Education Forum (see my links) is another. 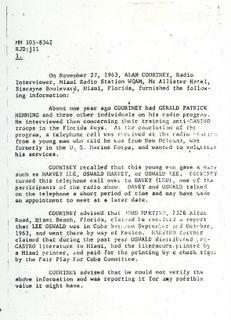 There is actually quite a lot of evidence linking the JFK assassination to Castro and Cuba. My analysis: either Castro killed Kennedy or someone went to quite a lot of trouble to make it look that way. My vote--Door number 2. 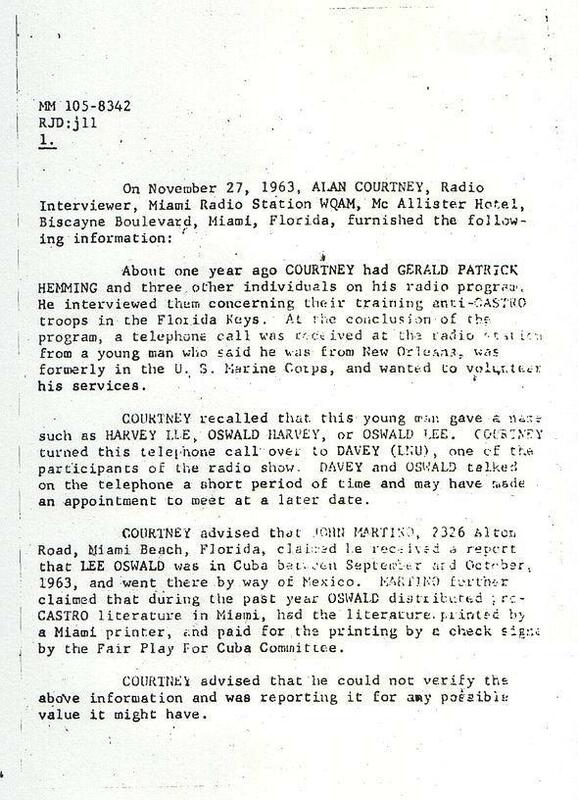 Gaeton Fonzi points out in his book The Last Investigation that a lot of the people linking Castro the assassination can themselves be linked to CIA officer David Atlee Phillips. Many of these stories were then picked up by the FBI and other elements of the CIA. Not having anything worthwhile today I thought I would post more photos of Candy Barr. (Someone is selling these cool watches on e-Bay, by the way). 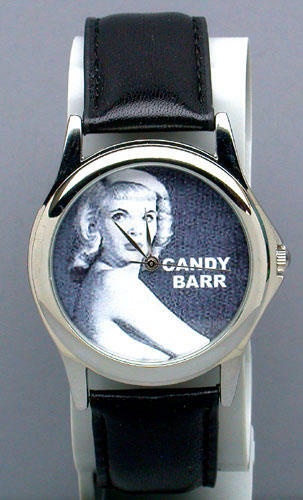 Candy of course dated Jack Ruby, mobster Mickey Cohen, and Hugh Hefner (although I'm not sure dated is the right word). For 25 years, Yoshi Tsurumi, one of George W. Bush's professors at Harvard Business School, was content with his green-card status as a permanent legal resident of the United States. But Bush's ascension to the presidency in 2001 prompted the Japanese native to secure his American citizenship. The reason: to be able to speak out with the full authority of citizenship about why he believes Bush lacks the character and intellect to lead the world's oldest and most powerful democracy. 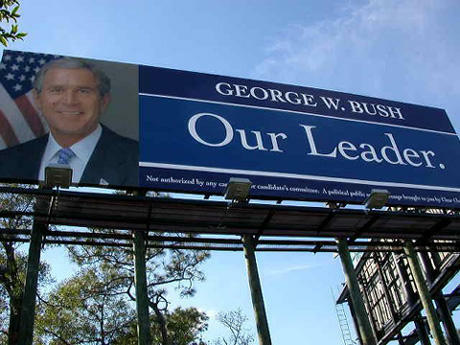 His former Harvard Business School professor recalls George W. Bush not just as a terrible student but as spoiled, loutish and a pathological liar. "I used to chat up a number of students when we were walking back to class," Tsurumi said. 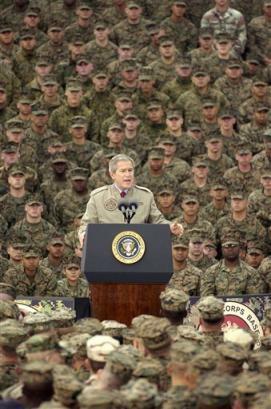 "Here was Bush, wearing a Texas Guard bomber jacket, and the draft was the No. 1 topic in those days. And I said, 'George, what did you do with the draft?' He said, 'Well, I got into the Texas Air National Guard.' And I said, 'Lucky you. I understand there is a long waiting list for it. How'd you get in?' When he told me, he didn't seem ashamed or embarrassed. He thought he was entitled to all kinds of privileges and special deals. He was not the only one trying to twist all their connections to avoid Vietnam. But then, he was fanatically for the war." Before the Comittee's investigation got underway, I had a revealing discussion with a former high-ranking CIA officer. He had retired to Florida and, having lost the narrow focus of the career insider, he had slowly begun viewing the Agency in a new light. He told me that the CIA's response to the coming investigation would be "predictable." It would react the way it always reacted: A "task force" of key personnel would be formed to "handle and contain" the inquiry. He cited the Agency's response to both the Rockefeller Commission and the Church Committee as examples. He said the "clandestine mentality" that is drilled into CIA operatives until it is instinctual would permit most of them to commit perjury because, in their view, their secrecy oath supersedes any other. "You represent the United States Congress," he said. "But what the hell is that to the CIA?" The Last Investigation by Gaeton Fonzi, p. 302. One of the names in Lee Harvey Oswald's address book was Mrs. Max Clark, the Russian-born wife of Max Clark, the Chief of Security at the Corvair plant of General Dynamics in Fort Worth. In his curious "translation" of Marina Oswald's testimony, Peter Gregory, who was a close friend of Max Clark and his Russian wife, suppressed the name of one of the Oswald's contacts in the Russian community: other testimony suggests that the missing name was almost certainly that of his own friend Clark. 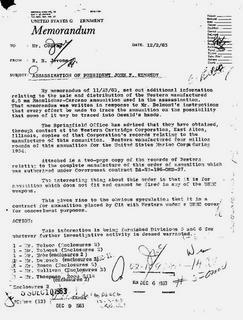 This pattern of cover-up was repeated by the Warren Commission. Corvair, up to the time of the Kennedy assassination was being investigated by a Senate committee for possible major scandals surrounding the controversial contract award to build the TFX experimental fighter plane. Clearance determination requested on the above employee(s) of the cited project. Attached is (are) PSQ on above employee(s) of the cited project, who is (are) of interest to this office in connection with Project ROCK. The Subject(s) will become aware that his (their) firm has undertaken a Top Secret government project, and will ablso become exposed to, and familiar with, highly sensitive technical equipment which is being developed. This raises the question: just what was Project Rock? 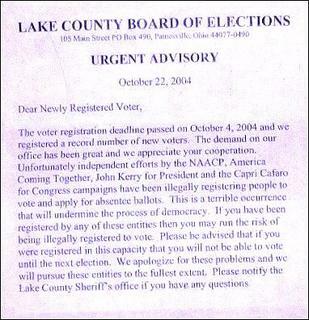 Another document gives us a clue. Another name in Oswald's address book is Bill Stuckey, who was a journalist who interviewed Oswald in New Orleans. In attempting to trace this name analyst M.D. Stevens came up with one Clarence William Stuckey, who, as it turns out, was not the Bill Stuckey in Oswald's book. 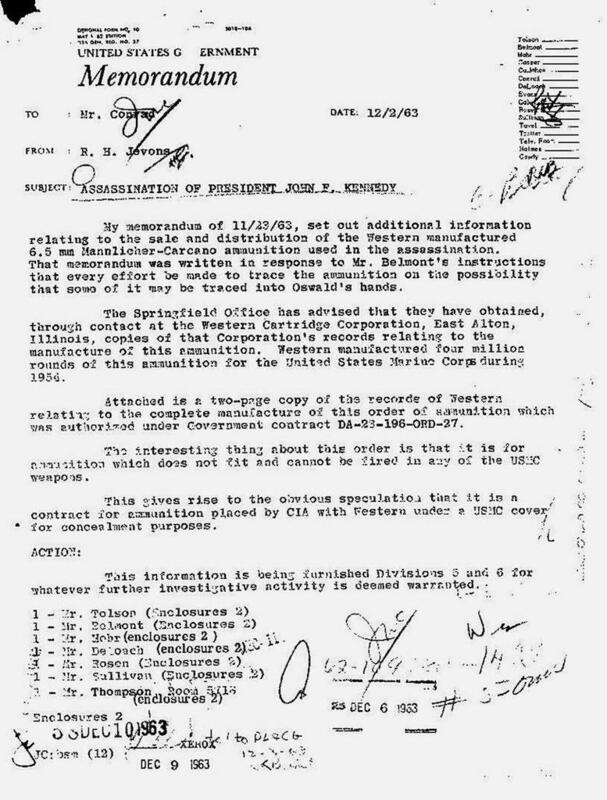 This Stuckey, however, according to CIA document RIF#104-10439-10222 was "originally of interest to CIA in 1955 in connection witkh project ROCK [AQUATONE (OARFISH)]. At that time he was (or recently had been) employed by the Lockheed Aircraft in Burbank, California. 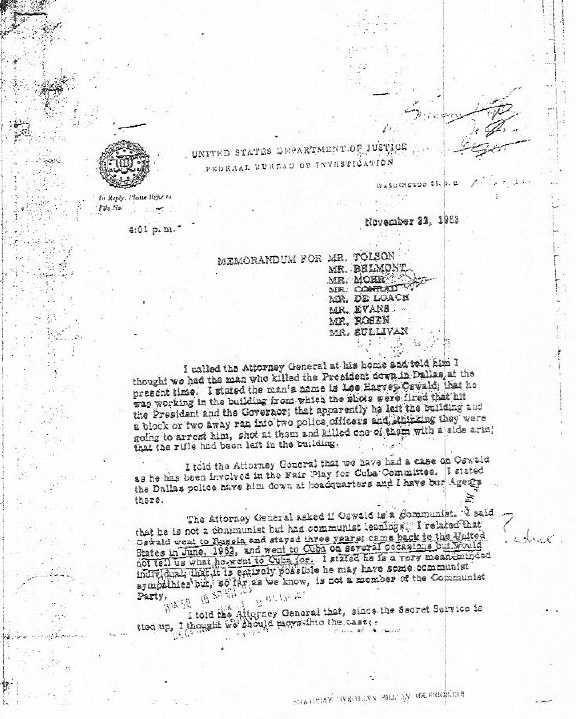 Although this was the wrong Stuckey please note that the CIA did not think it odd that Oswald was apparently linked to two people cleared for the same secret project. The use of the codenames OARFISH AND AQUATONE do give us an idea as to just what Project Rock was. Both names related to the top-secret U-2 project which was built at Lockheed Aircraft. And Oswald, of course, was familiar with the U-2 from his time at Asugi Air Force Base in Japan. It is requested that the file of the above captioned Staff Employee be reviewed with regard to a security determination fo utilization on Project ROCK. Don't ask me what this all means. We’re going to keep building the party until we’re hunting Democrats with dogs. Environmentalists are a socialist group of individuals that are the tool of the Democrat Party. I’m proud to say that they are my enemy. They are not Americans, never have been Americans, never will be Americans. We need to execute people like John Walker in order to physically intimidate liberals, by making them realize that they can be killed, too. Otherwise, they will turn out to be outright traitors. Everybody got it? Dissent, fine; undermining, you’re a traitor. Got it? So, all those clowns over at the liberal radio network, we could incarcerate them immediately. Will you have that done, please? Send over the FBI and just put them in chains, because they, you know, they’re undermining everything and they don’t care, couldn’t care less. I tell people don’t kill all the liberals. 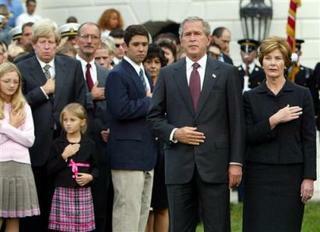 Leave enough so we can have two on every campus - living fossils - so we will never forget what these people stood for. I heard Joan Baez on my clock radio as I woke up this morning singing "Where Have All the Flowers Gone?" at the anti-war protest near Bush's ranch at Crawford. It's the sixties all over again--and Iraq is Vietnam on crack--another war that is a mistake at best, a crime at worst, another war based on lies, another war being waged by people who didn't learn anything from Vietnam, a war waged by chicken-hawks who did not have the courage to either fight in or against the War in Vietnam. A war to promote "democracy" abroad by people who don't give a damn about democracy at home or abroad. Robert McNamara may have learned the lessons of Vietnam but not George W. Bush. "How do you ask a man to be the last man to die for a mistake?" asked the founder of Vietnam Veterans Against the War (whatever happened to him?) in 1971. How indeed? "When will they ever learn?" That same morning [Wednesday, November 20, 1963], in the center of Dallas, two police officers on routine patrol entered Dealey Plaza, through which the presidential motorcade would pass on Friday, and noticed several men standing behind a wooden fence on a grassy knoll overlooking the plaza. The men were engaged in mock target practice, aiming rifles over the fence, in the direction of the plaza. The two police officers immediately made for the fence, but buy the time they got there the riflemen had disappeared, having departed in a car that had been parked nearby. 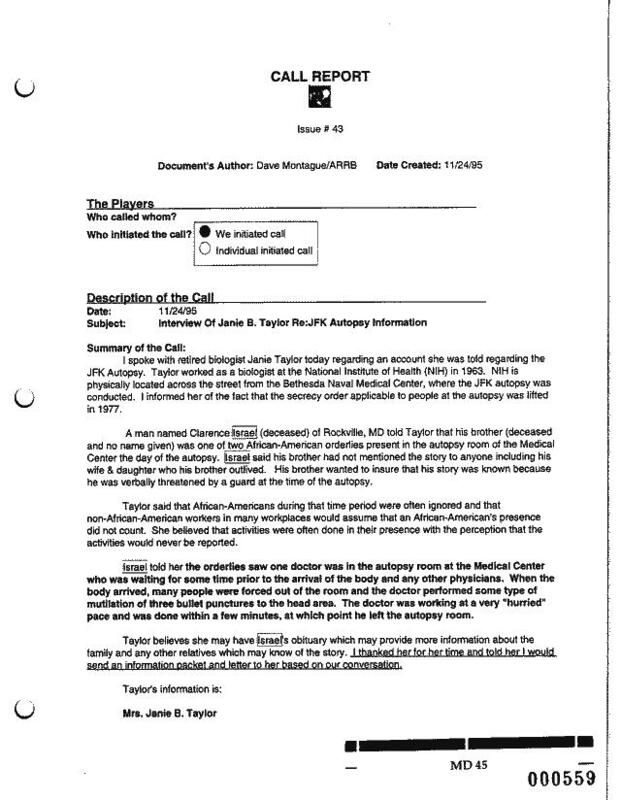 The two patrol officers did not give much thought to the incident at the time, but after the assassination of the President two days later, they reported the incident to the FBI, which issued a report of it on November 26. For reasons that have never been satisfactorily explained, the substance of the report was never mentioned in the FBI’s investigation of the assassination and the report itself disappeared until 1978, when it finaly resurfaced as a result of a Freedom of Information Act request. Two days before the assassination, two Dallas police officers were making their usual rounds on patrol. As they entered Dealey Plaza, they observed several men engaged in target practice with a rifle. The men were situated behind the wooden fence on the Grass Knoll. By the time the policemen reached the area the men had vanished, apparently leaving in a car parked nearby. Lanyon, Region II by Capt Dowdy, Dallas Police. Region II agents were cautioned that most of the above info was not public knowledge. I thought it was interesting that the description of the car fit the description of the car that the SUBJECT was driving, given that the subject was Lee Harvey Oswald, who was not known to drive. One would think that a report of this nature would have been thoroughly investigated by the Dallas Police, the FBI and the Warren Commission but of course this was not the case, as this would have represented evidence of conspiracy and that was the last thing they wanted to find. ``I love these prices. The higher, the better,'' said Frank Gafke, of Galveston, a senior service leader for Halliburton on the Texas Gulf Coast. Gafke said Halliburton's profits - and his savings account - had increased markedly since fuel prices began rising. He predicted that prices soon will reach $3 per gallon for automobile drivers, as well as for recreational boaters. And, he said, relief at the pump probably won't come anytime soon. ``Oil just hit $66 per barrel and gas jumped up 6 cents,'' Gafke said. "And the daily bludgeoning of life leaves a gentle mind ... confused." "My position has been clear, and therefore, the position of this government is clear. Obviously, the conditions on the ground depend upon our capacity to bring the troops home." Robert was trying to help Marina make herself heard. Marina told him, in my presence, that Lee was caught between two powers--the government and organized crime. When she was questioned by the Warren people, as she referred to them, she was a blind kitten. She wasn't saying Lee was innocent, but she wasn't sure Lee shot Kennedy or not, she wasn't sure if he knew about any conspiracies or if he was part of one, but she knew he wasn't guilt of murder. She said the Warren people told her that they had uncovered Jack Ruby's underworld connections and that he killed Lee to keep his mouth shut. Lee was "professionally schooled in secretiveness" and worked for the American government. Right after that, almost as if on cue, Robert began to be very cooperative about saying his brother was guilty, and even coming up with new evidence. Robert had a wife and children. the Warren people found out about Robert's indiscretion (a little birdy named me told them). After that, he was in a bind and had to keep it secret, which is why he incriminated his brother, even after everything Marina had said. I first became interested in the JFK assassination after the Oliver Stone film JFK. Shortly after that time I came across an article in one of the supermarket tabloids to the effect that Jack Ruby might still be alive. My memory is vague but as I recall the story a woman who knew Ruby claimed to have received a telephone call from him after his "death" from cancer. Gary Mack, Curator of the Sixth Floor Museum, confirms that he saw this article as well, and hopefully one of these days he will come across it again and send it to me. There was another story along this line in Final Judgement by Michael Collins Piper. I don't have the book in front of me but the story was that a woman who knew Ruby claimed to have recognized him on a television news story boarding a flight to Israel, again after his alleged death. Though already dismissed as a baseless rumor, the allegation that Jack Ruby is still alive and was given a new identity by the Central Intelligence Agency was not dreamed up by the veteran conspiracy buffs but was, in fact, advanced by a former employee of the agency itself. 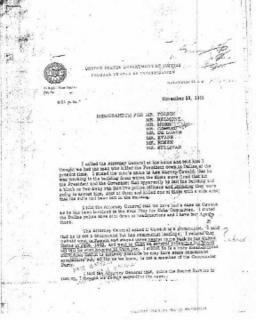 The Ruby story--to the effect that the CIA, in cooperation with the KGB, sponsored Ruby's murder of Oswald before the latter could disclose damning details of U.S.-Soviet intelligence links--has been put foward privately in recent weeks by Frank Snepp, formerly of the CIA. Snepp recently published Decent Interval, a harsh denunciation of the CIA's conduct in the last days of the Vietnam war. So is Jack Ruby Alive? Probably not, I would say, but in the Intelligence world just about anything is possible. Heroin, an illegal drug that was more prevalent in the 1960s, is making a comeback across the nation as a chic and relatively inexpensive drug, experts say. And use is spreading into suburban areas like Rockland. Amy Wolff, an assistant state’s attorney in Sangamon County, said her office has noticed an increase in heroin cases over the past eight months to a year. Bumper crops in Afghanistan have made the drug cheaper than ever. Only £5 will buy enough to keep a smoker in a state of euphoria for hours…. Despite the removal of the Taliban regime and Western governments' promises to end the dominance of the opium crop, Afghanistan produced 3,400 tonnes last year. That was its biggest-ever harvest - up 700 tonnes on 2001 - and returns it to the top of the world league of heroin producers. Funny isn't it that we invade Afghanistan and opium production goes up? The disinformation machinery is going strong, however. The White House is concerned about reports of Osama bin Laden's control of Afghanistan's poppy fields to finance his nuclear terrorism, said White House spokesman Scott McClellan in response to a question by WND. poppy cultivation in the fields of Afghanistan, right under the noses of U.S. occupation forces. In a letter to the author, Kerry Thornley, Oswald's best friend at the Atsugi Japan Naval Air Base, wrote: "In the late 1970s I was contacted by David Bucknell, who said he was in Marine Air Control Squadron Nine with Oswald and me. When he mentioned that his nickname was 'Bucky Beaver,' I recalled Bucknell-a large man with buck teeth who wore his utility cap all the way down on his head, giving it a dome shape instead of the common stretched, flattop shape. "Bucknell asked me if I remembered an attempt to recruit us (Bucknell, Oswald, me) to military intelligence. I did not. Then he asked if I remembered approaching he and Oswald one day and being told by Oswald that 'This is a private conversation.' That I recalled clearly. Bucknell said it happened as we were on our way to the recruitment lecture." Indeed, I remembered the incident occurred as all three of us were walking in the same direction toward 'Mainside' on the base and away from the radar outpost, the names Oswald, Bucknell and Thornley had been called over the P.A. system and that we were told to report to the squadron office. In the squadron office, we were ordered to report to base security over at 'Mainside' of L. T. A., the satellite of El Toro Marine Base where we were stationed. "Bucknell said he and Oswald were running a loan sharking operation and their private conversation concerned whether or not they were now being called in for questioning about that. Oswald doubted it, because I had been called up at the same time and knew nothing about the operation. " "'Mister B.' said, 'We have reason to believe that Castro's new revolutionary government has been infiltrated by Soviet agents.' (This would have been in late May or early June of 1959, just after the New Year's Day Revolution, before Castro 'went Communist.' I recalled someone making that statement in a lecture I attended, but did not remember the context). "We had all been called together, said Mr. B., because we were reputed to be admirers of Fidel Castro. As I understand it, and dimly recall it, the pitch was that Castro needed our help in getting rid of these agents. We were being asked to volunteer for a counter-espionage program! "I'm sure I would have volunteered. To the best of my recollection, I was ostensibly turned down because I was already slated for a tour of duty in the Far East, to begin in June, and the training program was in the U.S.-But not before I signed some papers authorizing using me for intelligence purposes. "Bucknell made detailed notes of this extraordinary event the day after it occurred, and when we met in San Francisco in the late 1970s he read me those notes. "Volunteers were interviewed on a one-on-one basis after the recruitment lecture. Bucknell says he had a maternal grandfather named E.H. Hunt, who he listed on the recruitment form as a reference. Mister B. looked startled and said, 'Who is this E. H. Hunt?' Bucknell explained. Mister B. said, 'Oh!,' and laughed. (E. Howard Hunt was second in command under Nixon on the Bay of Pigs operation.) "
"Bucknell was never contacted again in relation to this program. Neither was I. "Bucknell says that the Marine Air Control Squadron's covert security was handled by Army Intelligence, and we now both suspect that Oswald may already have been an Army Intelligence agent pretending to be a Marxist at the time of Mr. B. 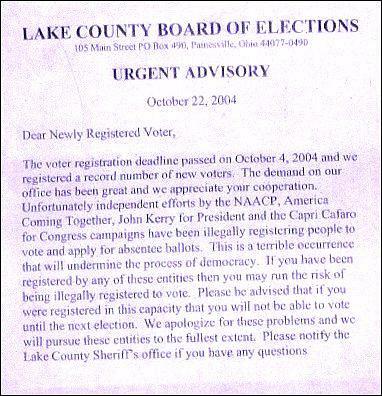 's recruitment attempt, which may have enhanced his qualifications for Mr. B. 's program.